Asha began learning the violin at the age of 4 after her mother noticed that she would climb up to sit at the piano to mimic her older siblings after they finished their practice. As her hands were quite small, it was recommended that she learn the violin. She had her first television performance on the Curiosity Show as part of the Silver Strings Ensemble. Asha learnt from several teachers in Adelaide and participated in eisteddfods and musical activities. 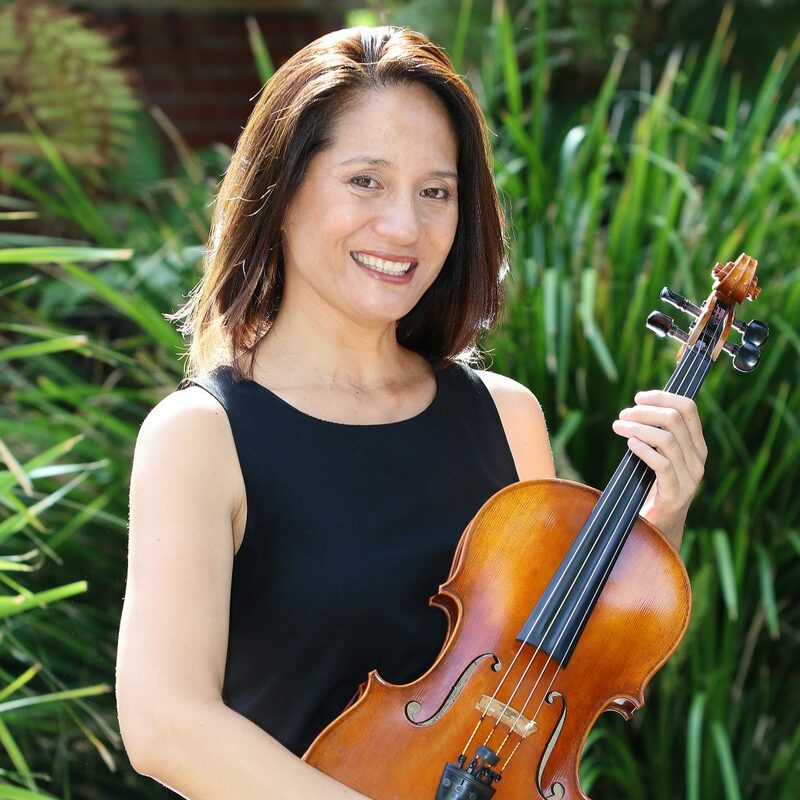 Asha moved to Sydney to study with two further teachers and graduated from the Sydney Conservatorium of Music with a Bachelor of Music Performance on violin. For 16 years, Asha lived in Sydney and Melbourne where she performed with the Sydney Symphony Orchestra, Melbourne Symphony Orchestra and Orchestra Victoria. In 2001 she moved back to her home town of Adelaide and it was then that she also decided to play the viola. Since that time she has played violin and viola with the Adelaide Symphony Orchestra, Co-Opera, the former Adelaide Art Orchestra and many other ensembles. She has played on tours all over Australia, country and capital cities, and overseas to the Pacific Islands, Asia and Europe. Asha is the principal violist of the Adelaide Art Orchestra. Asha teaches the violin and viola and is busy bringing up her two teenage daughters. Her involvement as violist in the Amicus String Quartet is great fun where she enjoys both friendship and musicianship.